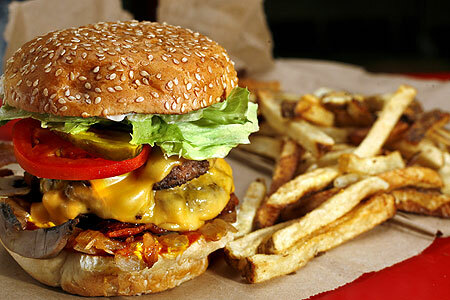 Five Guys Cheeseburger & Fries! First, the Church should focus on what’s important. Jesus was pretty clear about what was an important, making disciples. His last words did not leave any ambiguity. He didn’t say build big buildings with fog machines and “Disney-style” children’s areas, he said “make disciples.” He even gave them a strategy. Go into your world, where ever you encounter people. Get out of your comfort zone and actually meet people who need to meet Jesus. Then baptize them, help them come to a place where they want to radically re-orient their lives and then help them participate in a practice that they will remember. Lastly, teach them to obey “all that I (Jesus) have commanded.” That is all. Burgers, hot dogs, fries, and drinks. Go, baptize, and teach. Focus on what’s important. If the Church was like Five Guys and focused on what’s important then we would put all of our resources into disciple making. We would make sure our staff was equipped to make disciples. We would turn our facilities into disciple making centers. Our worship gatherings would be focused more on teaching simple truths and helping people encounter God that appeasing people’s worship style preferences. Most of our time would not be spent in meetings, it would be spent either in worship experiencing the presence of God (UP), in homes experiencing the community of God and learning the truths of God (IN), and in service to our community and serving those around the corner and around the world (OUT). Lastly, if the Church was like Five Guys, we’d say “no” to a lot of good things, to say “yes” to the best things God has for us. Churches do a lot of things, but unfortunately many of them have nothing to do with making disciples. Some of those things are “good things.” Chicken strips are good, tofu is good, but its not burgers, hot dogs, fries, and drinks. Good things can become a distraction to best things. What happens if we get serious about focusing on what’s most important, dedicating our resources to making disciples, and learning to say “no” to good things so we can say “yes” to the best? The Church would make more disciples, disciples would be moved with passion and compassion and see the needs in their cities, communities, and around the world, and a renewed movement would begin that would change the world, one relationship at a time. Order up!